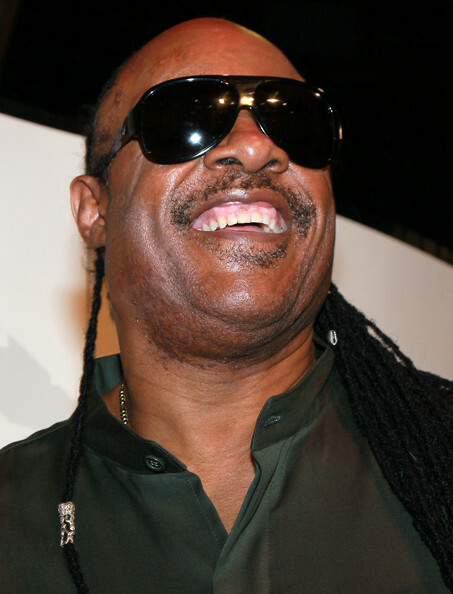 In a later interview with the Los Angeles Times, Stevie Wonder expounded on the subject of accessibility and Steve Jobs’ contributions. Wonder asked his recording engineer, Femi Jiya, to talk specifically about how the various Apple products Jobs introduced over the last few decades had revolutionized the recording process. “Because of what Apple has done with their technology, everything we’re using in the high-end recording situation is now accessible to everybody,” Jiya said. “A lot of that is through Steve Jobs and his love of music, and him wanting to get that technology to everybody at a reasonable cost. Wonder came back to add, “His company was the first to come up with technology that made it accessible without screaming out loud, ‘This is for the blind, this is for the deaf.’ He made it part of the actual unit itself; there were applications inside the technology that allowed you to use it or not use it. The iPhone, iPad touch, iPod touch, all these things, even now the computer, are accessible to those who are with a physical disability. 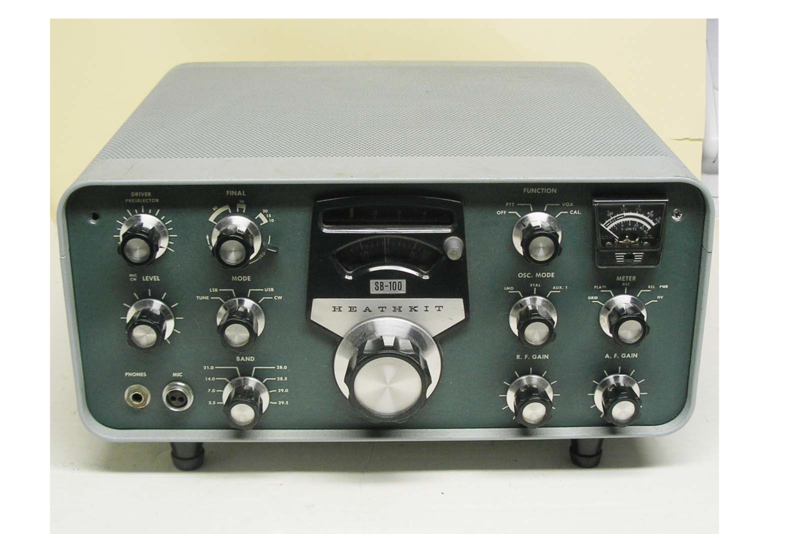 Heathkit has announced they will be getting back into the electronic kit business. The Heathkit Educational Systems was famous for opening the door to the magic world of electronics for countless hobbyists through their broad line of electronic kits. They are best known for their ham radio kits–many still in use today. Heathkit also sold kits for televisions, hi-fi audio, and a variety of kits for building test equipment and other gadgets. You could even get the EC-1 Computer kit long before PCs hit the market. Heathkits were not at all accessible, but that did not stop us from poring over the catalogs with our sighted friends and riding the bus across town to have a look at the latest electronic wonder. The first new kits Heathkit will be releasing this year are the Parking Garage Attendant and the Wireless Swimming Pool Monitor. They are also planning to have a ham radio kit available by the end of the year. We will get back to you with a full accessibility and gadgeteer worthiness report. Freedom Scientific announced that version 13 of the popular Jaws screen reader will be available as a public beta next week. According to Eric Damery of Freedom Scientific, anyone will be able to download and install the beta during this period. A response form will be provided on the Jaws HQ web site for reporting bugs and other problems. The official release is expected in late October or early November. The most exciting new feature in Jaws 13 is built-in OCR (optical character recognition). This feature, called convenient OCR, is designed to read text contained in graphical images not normally readable by Jaws. It will help solve the common problem encountered when the bank or utility company presents account information online in graphical form. The text hidden in the image can be read using regular Jaws navigation commands. Convenient OCR will also read those annoying PDF files that contain scanned images instead of text. Jaws 13 will include a number of other useful enhancements including simplified commands for reading tables and a redesigned user configuration facility called quick settings. There is also expanded Aria support for Internet Explorer 9 and Firefox. Another very nice addition to the Internet Explorer support is web site specific search history. Search keywords previously entered for a particular web site can be quickly retrieved and recycled in new searches. We are looking forward to the new features and performance enhancements coming in Jaws 13 and we think that Convenient OCR is a giant step forward in screen reader functionality. It is important to note that although Convenient OCR provides groundbreaking support for reading text contained in graphical images, it will not allow the text to be copied or saved. Freedom Scientific stated that they could not get this feature ready in time for the release. It seems to us, as outside observers, that it would be just as easy to display the translated text in the new results viewer as it is to output it to the voice synthesizer. It is our hope that Freedom Scientific will be able to include this functionality in the future. There has been a lot of buzz about the Tacit Project, A.K.A. “Sonar for the Blind,” recently. 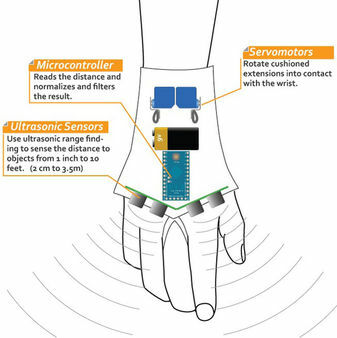 According to the inventor, Steve Hoefer, Tacit is the shorter and less descriptive name he has given his design for the “Hand Mounted Haptic Feedback Sonar Obstacle Avoidance Asstance Device”. In brief, what Tacit does is measure the distance to objects and then translate that measurement into pressure on the user’s wrist. The pressure increases as the distance decreases. Hoefer says that the device is very fast and accurate from just about one inch to ten feet. You would also look like a crazy person. While we are not ready to jump on the “throw away your cane and leave your guide dog at home” bandwagon, we were hooked by the do-it-yourself aspect of this project. Tacit consists of two small Parallax Ping Ultrasonic sensors connected through a controller to two padded servo motors. The electronics are mounted on a custom neoprene wrist strap and powered by a 9-volt battery. The parts list, schematics, and source code are freely available and the whole project can be built for about $65 under the Creative Commons license. This may just be enough to get us to dust off our old soldering iron and talking multi-meter (yes, we really have one. Don’t you?) and get started. We probably need to clear away the Lego Mindstorm NXT robot debris from the workbench first. What kinds of home brew projects have you been building in your basement? 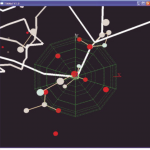 There’s a new molecular modeling system in town. TIMMol’s the name and modeling atomic coordinates of protein structures with sound is the game. Developed by Dr. Tim Cordes (M.D., Ph.D.) as a method to allow himself to study the structure of protein atoms, TIMMol (Tonal Interface to MacroMolecules) uses the notes of a MIDI keyboard to aurally sculpt graphs. 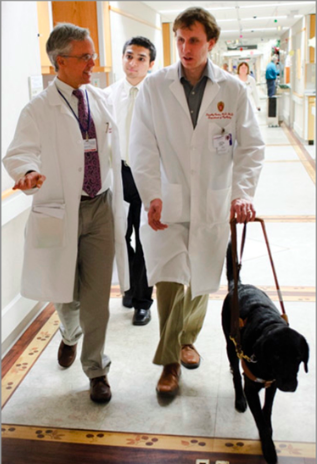 Blind since sixteen due to Leber’s, a degenerative disease of the retina, Cordes earned his medical doctorate by the time he was twenty-eight. He immediately began working on a Ph.D. based in biomolecular chemistry and the makeup of proteins. One of the difficulties he wrestled with during his studies was interpreting the data he needed to study biochemistry. Most of the traditional methods involved two-dimensional pictures, not the most accessible medium for the visually impaired. To help decipher the information imparted by the X-ray crystallography, he wrote short scripts, laboriously detailing how the atoms were positioned, then using the scripts to control graphical presentations for his lab mates. This process, while certainly better than nothing, was extremely slow and frustrating. After hearing of a system that turns the two-dimensional line graphs of infrared spectra into audible tones, Cordes decided to play to his strengths, used a MIDI keyboard to model a graph in three-dimensions. He assigned tonal balance to indicate left or right position along the x-axis, pitch to indicate up or down motion on the y-axis, and changes in volume to indicate depth on the z-axis. Testing has shown that TIMMol is accessible to both sighted and visually impaired users, though those who have had less exposure to the traditional method tend to adapt to TIMMol more readily. TIMMol also gives an alternative to those who simply have difficulty interpreting a three-dimensional concept from a two-dimensional graphic. Students who are not necessarily blind but are not naturally visual learners are given an opportunity to use other strengths, such as aural or musical abilities. TIMMol doesn’t cut out the visual learner either. Cordes wanted to be able to show what he was listening to, so he teamed up with a fellow grad student in biochemistry, Britt Carlson, and together they whipped up a graphical display that is described as a “webbed sphere.” The graphical display has the ability to zoom in and to rotate to allow different viewing angles. Dr. Cordes completed his M.D. in 2004 from the Wisconsin School of Medicine and Public Health. He completed his Ph.D in 2007 and is now a psychiatric physician at the University of Wisconsin. Vocalyze is a mobile audio news and entertainment service that turns news, tweets, and other web content into a real-time podcast stream using high quality text-to-speech. Vocalyze can read news from a wide range of sources including blogs, news, weather, and other information sites and even read tweets from any twitter user. It is easy to create a custom audio program featuring the news from or about the people, companies, newspapers, teams, or magazines you care about most. Vocalyze reads your selected content aloud using text-to-speech voices that will be familiar to most screen reader users. You can listen on the web or via free iPhone, iPad, or Android apps. 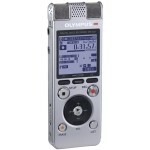 The iPhone and iPad apps are completely accessible using VoiceOver. All of the buttons and controls which operate the app are properly voiced. The Android app is also accessible depending on your specific configuration. Although both apps lack the speed and navigational controls that most screen reader users are accustomed to, the ability to stream content from a wide variety of sources is well worth the free download. Vocalyze also provides a plug-in which can be used to bring streaming audio text-to-speech to WordPress and other web sites. You can give this a try on BlindGadget.com by clicking on the “Listen to BlindGadget” link at the top of the page. Give Vocalyze a try, then leave a comment and let us know what you think. Portable OCR: Will the iPhone 5 Save the day? The KNFB reader, developed by the National Federation of the Blind and Kurzweil Technologies, Inc., is the first truly portable OCR device. It can easily snap a picture of a page of text and read it aloud. The KNFB reader runs on a Nokia N86 Symbian-based phone and, when combined with a screen reader, provides a complete package for portable OCR and communication applications. It can be used to read just about anything: a utility bill, magazine article, library book, and even labels at the grocery store. So, the KNFB reader is very portable, the character recognition is excellent, and it can also be used as a cell phone, what could be wrong with that? Not much really, except that the whole package sells for about $1800, including the KNFB software, n86 phone, and screen reader. The other catch is that many blind and visually impaired people have moved on from Nokia because of the lack of built-in accessibility in favor of the Apple iPhone, which includes a screen reader at no extra charge. The iPhone also makes sense given the uncertain future of the Symbian platform. Nokia has laid off nearly all of their Symbian development team and contracted with Microsoft to ship Windows Mobile 7 on their products. While Windows Mobile 6 was very accessible, in a giant step backward, Windows Mobile 7 does not provide for accessibility. 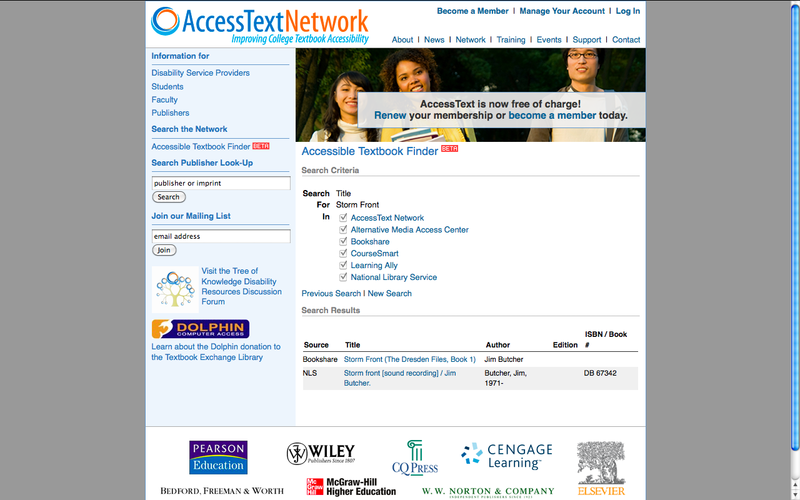 The choice for an accessible mobile platform for communication and applications such as OCR comes down to companies such as Microsoft, Nokia, and Google Android, who provide little or no built-in accessibility, or Apple, which includes accessibility in every product as a matter of company policy. What about the KNFB Reader? It is still the best and most accurate OCR application available for blind and visually impaired users. It is much better than even the best OCR applications currently running on the iPhone. 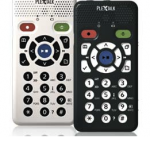 Surprisingly, Kurzweil Technology has said they have no plans to release a version for the iPhone. provide a proper solution for a low cost portable OCR reader. If ever a wiz there was, the VizWhiz is. VizWiz is an iPhone app that allows blind users to receive quick answers to questions about their surroundings. VizWiz combines automatic image processing, anonymous web workers, and members of the user’s social network in order to collect fast and accurate answers to their questions. In their words–Take a Picture, Speak a Question, and Get an Answer. VizWiz Social was developed by the Human Computer Interaction group at the University of Rochester and is available as a free iPhone app. 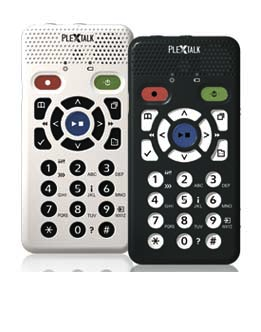 It allows blind users to receive quick answers to questions about their surroundings. 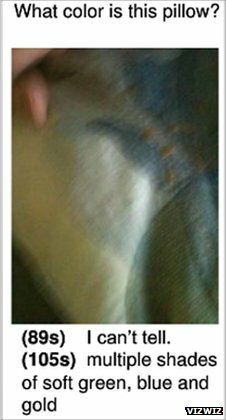 A user takes a picture and records a question on their mobile phone, then sends their question to anonymous workers, object recognition software, Twitter, or an email contact. Once an answer is received from any of those services, it is sent back to the users’ phone. Each answering service provides a unique benefit, and would be appropriate for different types of questions. On an old episode of the Blind Kiss podcast (still, by far our favorite podcast of all time), Damon Rose declared that his life would be much simpler if he just knew what color things were when trying to describe them. He related trying to get his father to bring him a bottle of shampoo from another room. He went through every permutation of the size and shape of the bottle until, finally, after several mistaken attempts, his father brought the correct bottle, saying, “There you go. It’s the red one.” Rose was quite exasperated by how much time and vexation could have been spared if he could have just said, “Bring me the red one.” Unfortunately, Viz Whiz probably couldn’t have helped him much in that moment, because he was actually in the shower, but now he can find out the color of his favorite shampoos for any such future situations. You can read a lot more about VizWiz and other ways accessible smart phones have made life better for all of us in an excellent article written by Damon Rose at BBC News-Technology. How have smart phones changed your life? Only for the better we hope. 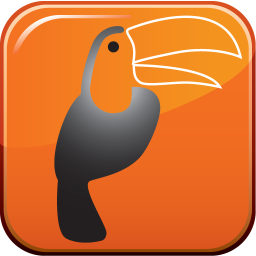 Please leave a comment and let us know about your smart phone adventures and discoveries. 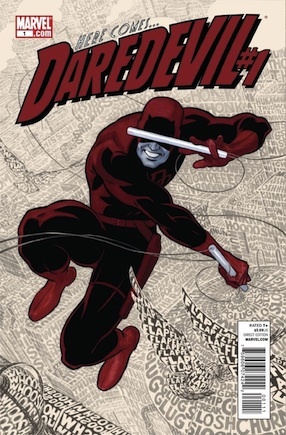 The owner of Brailletshirts.com, Alice Woodside Lynch, became intrigued when she saw a Braille message in an issue of “Daredevil” (I know, it’s like a theme or something!). She became even more interested when, a short time later, she was diagnosed with macular degeneration and has since gone on to study Braille textbook transcribing. 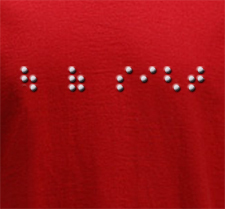 Her training enables Lynch to use Grade 2 Braille on the t-shirts, though Grade 1 is available if you prefer. The shirts come in black, red or blue, and several styles—short sleeve, long sleeve, zip hoodie, and fleece–and there are nine different crystal colors to choose from. One design is a Braille version of the famous “I heart NY” with the heart outlined in red metal studs, but you can substitute any direct object your own little heart desires. Brailletshirts.com also has Braille totebags and Braille jewelry. The totes are 12″ by 15″ natural cotton with a Braille manuscript-sized pocket on the front and red or navy trim on the handles and edges. The Braille phrase of your choice is placed on the front on the pocket or on the back. The pouches are 6″ by 9″, “suitable for cosmetics, travel items, or as a tote for a notecard size slate and stylus.” The attractive jewelry–necklaces, earrings, and keyrings–is designed around brass or copper discs embossed with up to six cells of your choice of letter. Give us a heads up on any cool, fun items you’ve come across in your internet travels. The gift giving season is looming. Navigating to new locations has become progressively more accessible for the blind in recent years. In fact, last year I did a whole series on low cost accessible GPS options. Unfortunately, as awesome as GPS is, it’s limited primarily to the outdoors. So what this means is that we can now get to our destination’s front door, but we may not know how to get to where we need to be once we’re inside. Thanks though to a new partnership between Guide Dogs in the UK and the University of Redding, this problem may also soon be solved. The Talking Tags Way Finding Project is using RFID technology to overcome the limitations of GPS. So how does the system work? The system comprises of three components: RFID tags, a handheld receiver, and a database of prerecorded messages for each tag. The tags themselves are usually as small as a credit card, so they can be put essentially everywhere. 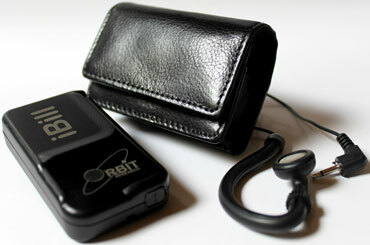 RFID also doesn’t require the user to find the tag, but simply to be near enough for the receiver to find it. Once the receiver finds the tag, the message is spoken. It’s that simple. RFID technology has been used for years in industrial shipping applications and warehouse inventory to track products because it’s a simple system that doesn’t take up much space or carry a high cost. By using the technology for indoor navigation, this would be great for all kinds of situations including malls or other buildings that have multiple stores or offices. It could also be used at bus stops and even intersections to let the user know where they are. All of this can be accomplished very easily without the addition of any large equipment. 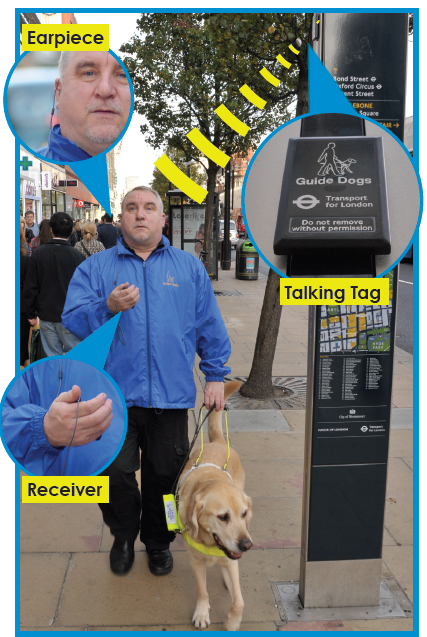 Here are some of the features of the Talking Way Finding system. The system is still in prototype stage, but it’s Guide Dogs’ hope that the system will be available for use in 2012 or 2013. 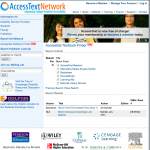 Visit the Talking Tags project site to learn more about the project.